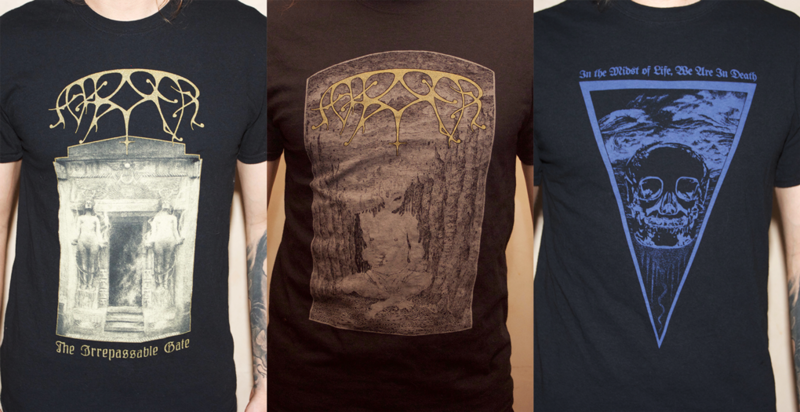 Three new Ash Borer Shirts are available in limited quantities through Psychic Violence Records. All shirts are printed on Gildan cotton garments with aqueous discharge inks for extremely soft prints that won't fade. VANUM, featuring members of Ash Borer, Fell Voices, etc, has unveiled Burning Arrow, a new 3 song MLP via Psychic Violence Records. It is currently available to pre-order on LP (with a public release date of May 12), as well as stream/purchase digitally. They will be available alongside Ash Borer merchandise during all Ash Borer/Vanum European tour dates. The eponymous debut from PREDATORY LIGHT (featuring K.M. 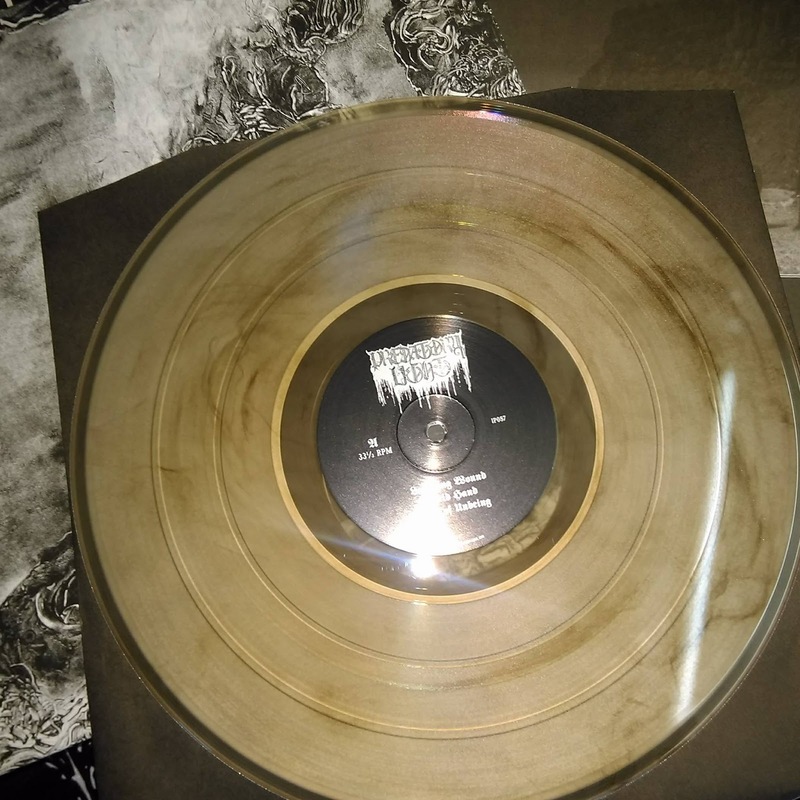 of Ash Borer) is now available on limited edition LP through Psychic Violence Records in the US and Invictus Productions in Europe. 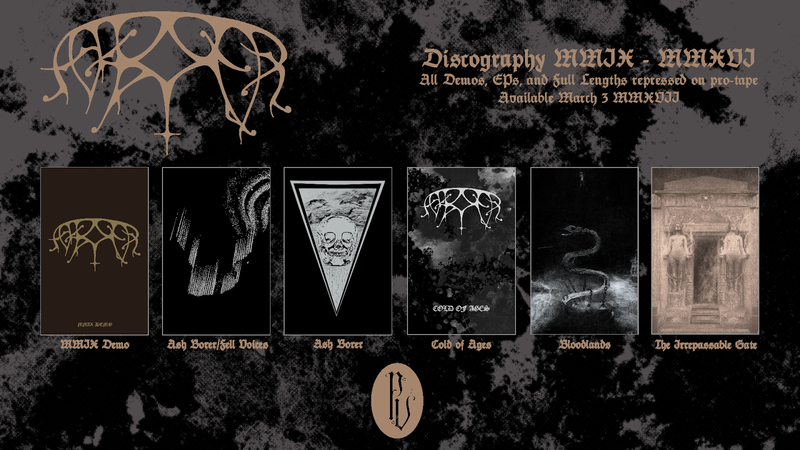 We are proud to unveil the DLP and CS editions of The Irrepassable Gate through Profound Lore Records and Psychic Violence Records, respectively. Additionally, Psychic Violence has reissued the entirety of the Ash Borer back catalog on pro tapes. And lastly, AB-related project Predatory Light's debut is now available on LP through Psychic Violence as well. 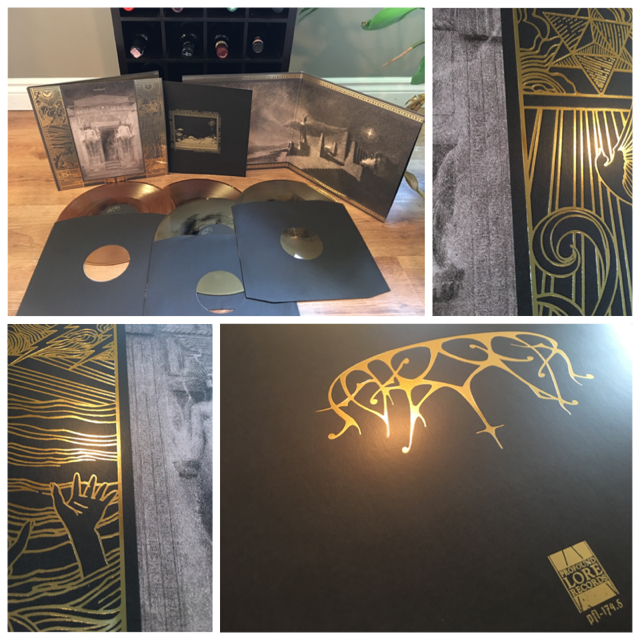 While PV is stocking a limited number of black copies of the Ash Borer DLP, color versions are available through Profound Lore exclusively. Final Dates are now announced for Ash Borer's triumphant return to Europe in the Spring of 2017. We are excited to return to some of the places we played in 2013, as well as many new places. 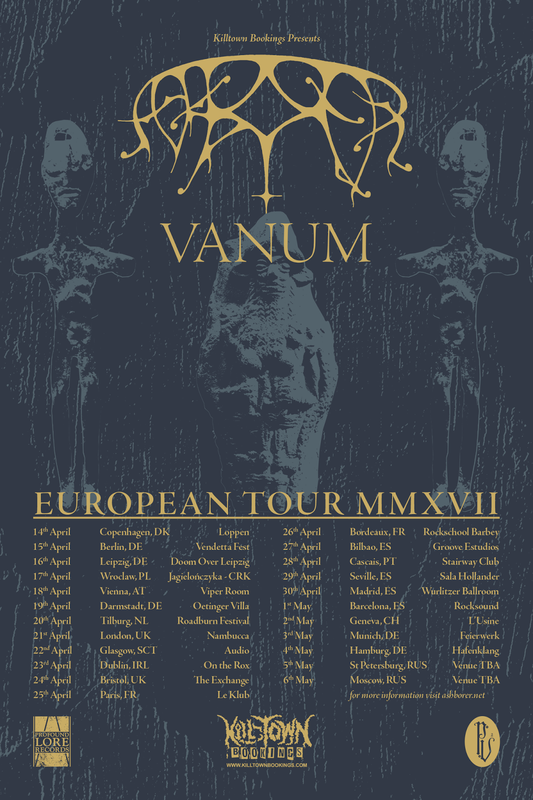 Related project VANUM will be supporting all dates.